There were clear signs of discord in Washington, D.C., as representatives of AIPAC publicly rebuked presidential hopeful Donald Trump after he harshly criticized the sitting president. At the pro-Israel organization’s policy conference last month, in front of some 18,000 attendees, visibly upset AIPAC president Lillian Pinkus admonished Trump on stage for his remarks a day earlier. Every major party candidate for president spoke at the dais, except the senator from Vermont, Democrat Bernie Sanders, who is Jewish. 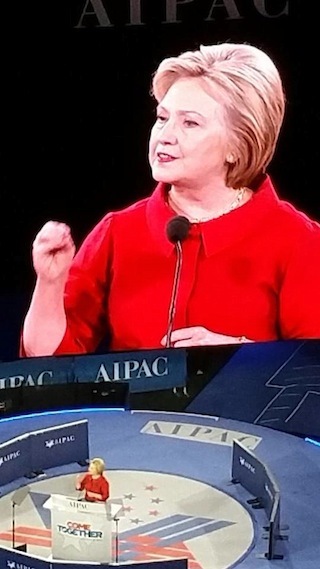 All candidates who spoke placed heavy emphasis on Iran. The $150 billion channeled to Iran in the agreement, by his reckoning, was “unbelievable” with “nothing in return,” and that the Islamic Republic will have a nuclear bomb within several years. The Middle East’s terror activity has Iran’s fingerprints all over it, he continued, including Hezbollah in Lebanon, Hamas in Gaza, reward money for Palestinian terrorists, and influence in at least two dozen other countries. The New York billionaire mogul and reality TV host took aim at two other threats to Israel, the United Nations and Palestinian terror activity. He spoke about his three trips to Israel as senator, including a visit to Israeli hospitals that treated Syrian refugees. He noted that he had proposed legislation to ban the Iranian ambassador to the UN from entering the United States since he was involved in the 1979 Iranian hostage crisis. It passed in both the Senate and House. Taking a jab at the Obama administration, he said it was “unjust” for them to impose a travel ban on Israel in the summer of 2014. He further called out Democrats for boycotting Israeli Prime Minister Binyamin Netanyahu’s speech last year at AIPAC. As for the “fundamentally immoral” Iran deal, Cruz said he will “rip it to shreds on the first day,” since the Islamic Republic won’t follow it anyway. Cruz compared the Iran deal to the failed 1938 agreement between British prime minister Neville Chamberlain and Adolf Hitler, which led to the Third Reich’s takeover of Czechoslovakia and allowed its continued military build-up. If elected president, Cruz said he would move the U.S. embassy from Tel Aviv to Jerusalem, yank federal funds from schools that boycott Israel and veto any UN unilateral declaration of a Palestinian state. Governor of Ohio John Kasich, running third in the GOP delegate count, noted his 35-year support for Israel and his role in helping erect a Holocaust monument in his state. He also spoke out against the boycott, divestment and sanction movement, and antisemitism on campus. On Israel, he noted the “culture of death that the Palestinian leadership has promoted for decades,” and that “Palestinians cannot continue to promote hatred.” In sum, he called Jerusalem the eternal capital of Israel. Meanwhile, U.S. Vice-President Joe Biden took a risk mentioning to the 18,000 attendees at the policy conference that Israeli “settlements are a barrier in the way of a two-state solution.” That risk was welcomed by a chorus of boos – despite attendees being cautioned by AIPAC leadership to not do so. The White House “stands with Israel against delegitimization” and believes that “Israel is stronger today because of the Obama-Biden administration,” he said. Speaking by video link from Israel, Netanyahu both criticized, and suggested salvaging, the U.S.-brokered Iranian nuclear deal. “Those who worked for the deal and against the deal can work together to ensure that the deal is followed,” he insisted, noting that, in March, Iran tested a missile that posed a threat to Israel. “The writing isn’t just on the wall; it’s on the missile,” said Netanyahu. He said that Israel is singled out for condemnation at the UN and said he hopes the United States will continue its moral voting record at the Security Council. With regard to Israel’s neighbors, he said Palestinian children are taught to hate, and showed a video of television broadcasts that illustrate his point. “We cannot compromise with terror and must defeat it,” he said. “We need a two-state solution with a demilitarized Palestinian state.… We are ready for negotiations anywhere and anytime without preconditions.” But, he said, Mahmoud Abbas, the leader of the Palestinian Authority, “isn’t ready or willing to come” to the negotiating table. David Zam has covered political, cultural and historical events for Landmark Report, including the 50th anniversary of the Selma to Montgomery voting rights march as White House-approved press, two AIPAC policy conferences and several other political conventions. He has degrees in history and law. “I didn’t come here tonight to pander to you about Israel,” Donald Trump told the AIPAC conference Monday evening, before proceeding to do exactly that. In his unique rhetorical way, Trump ticked off every box on the AIPAC agenda, and then some. He also ticked off a number of rabbis and other delegates who condemned and protested his presence at the event. Trump’s history of making statements that are sexist and racist, his sluggishness at disavowing the support of neo-Nazis and Ku Klux Klanners, his making fun of a disabled reporter and a litany of other offences convinced some AIPAC attendees that Trump should be either disinvited or boycotted. They were wrong, because this was an opportunity for Trump to clarify or otherwise explain his behaviors. Of course, he didn’t, which was an opportunity missed. Trump came on – uncharacteristically – with a prepared text distributed in advance to media. What he read was a fulsome reversal of his statement just days earlier that he would be neutral between Israel and the Palestinians. Trump’s repeated invocation of the term “believe me” is almost a verbal tic and it belies a tendency to express the unbelievable. Within days, Trump pivoted from “neutrality” to a no-holds-barred defence of Israel that would make Binyamin Netanyahu (whom Trump calls “Bibby”) blush. The response he received from the AIPAC crowd verged on enthusiastic. Yet his conversion to Zionism may reflect little more than some good advice, a comparatively competent speechwriter and the ability to unabashedly pander. Trump promised to dismantle the nuclear deal with Iran and he trashed the United Nations. “When I’m president, believe me, I will veto any attempt by the UN to impose its will on the Jewish state,” he said. He condemned the Palestinian incitement of children to hate Israel and Jews. “In Palestinian textbooks and mosques, you’ve got a culture of hatred that has been fomenting there for years,” he said. He promised to move the American embassy to Jerusalem. In what amounted to his first significant expression of foreign policy, Trump waded in deep. He wants to reduce American commitments to NATO, specifically citing NATO’s obligation to defend Ukraine. What he doesn’t understand or doesn’t care about is that the United States and Britain made a deal with Ukraine – then the world’s third-largest nuclear power – to eliminate its arsenal in exchange for a promise of protection. Global reaction to Russian aggression betrayed that promise and Trump wants to rub salt in the wound. This is an example of Trump’s lack of awareness on international affairs. Yet it is unlikely to hurt him with supporters, who forgive his every error and offence and who sometimes seem to idealize a world free of non-Americans. Trump is indeed creaming his opponents in the primaries, and it may be a minor rhetorical thing, but would he take their support if he did need it? Asked by Wolf Blitzer whether he would condemn violence by his supporters, Trump replied, “Of course I would, 100%, but … I have no control over the people.” Then he went on to note that “these people” have been disenfranchised – they lost their jobs and earn less money now than they did 12 years ago, as though this justified violence. Had Trump’s AIPAC speech occurred in a vacuum – if he had just landed from the proverbial Mars and not for months been spouting hatred toward Muslims, Mexicans, women and anyone who opposes him – the speech might have deserved the applause it received. Instead, his words were diametrically opposed to what he has said in the past and, even if they weren’t, they are coming from an individual who has done egregious harm to social relations and human decency in public discourse. Even if Trump said everything Jewish people and other friends of Israel wanted to hear, this would not detract from the other things he has said and the other people – including every Muslim in the world – he has deliberately and maliciously affronted. “I’m going to be great for Israel,” Trump declared, and maybe he would be. But at what cost to the social fabric of his country and the place of the United States in the world? Israeli Prime Minister Binyamin Netanyahu addressed the AIPAC Policy Conference Monday, presaging his address to the U.S. Congress Tuesday. “Never has so much been written about a speech that hasn’t been given,” he joked, referencing the controversy around his visit. As prime minister of Israel, Netanyahu said, he has a moral obligation to speak up. “For 2,000 years, my people, the Jewish people, were stateless, defenseless, voiceless. We were utterly powerless against our enemies who swore to destroy us. We suffered relentless persecution and horrific attacks. We could never speak on our own behalf, and we could not defend ourselves. Of the controversy that surrounds his visit, and the apparent rift it illuminates, Netanyahu took the opportunity to itemize a long list of historical disagreements between the two allies. “In 1948, Secretary of State [George] Marshall opposed David Ben-Gurion’s intention to declare statehood. That’s an understatement. He vehemently opposed it. But Ben-Gurion, understanding what was at stake, went ahead and declared Israel’s independence,” said Netanyahu. On Tuesday, Netanyahu addressed Congress, thanking Obama and the United States for support. “This Capitol dome helped build our Iron Dome,” he said. If all else fails, the prime minister warned, Israel will do what it needs to do. “For the first time in 100 generations, we the Jewish people can defend ourselves,” he said. “Even if Israel has to stand alone, Israel will stand.” However, he added that he knows Israel does not stand alone because it has the support of the United States, an assertion that received an ovation from the combined senators and congresspeople. Fears that the controversy over Netanyahu’s speech to Congress could fragment the historic support for Israel across Democratic and Republican members of Congress pushed bipartisanship up the agenda of the 16,000-delegate AIPAC conference, which ran Sunday to Tuesday. Former CNN anchor Frank Sesno interviewed Democratic Senator Ben Cardin and Republican Senator Lindsey Graham on stage at the conference, primarily about Iran’s nuclear program. Both politicians were emphatic that the pro-Israel consensus would withstand the tempest. Cardin insisted that a final agreement must be transparent and allow inspectors on the ground throughout Iran. He favors increased sanctions on Iran if no deal is reached by the March 24 deadline. He said the only reason Iran is negotiating in the first place is because of sanctions and the economic isolation they have put on the country. “We’ve got to keep the heat on,” he said. “Diplomacy would be the right answer, rather than war,” Graham said, adding that Congress should have the right to vote on the deal. “A bad deal is a nightmare for us, Israel and the world.” He warned that if Iran were to get a nuclear weapon it would lead to a nuclear arms race in the Middle East, with the Sunni countries seeking the same weaponry. On the reactions to Netanyahu’s visit, the men were unanimous. “Don’t lose focus,” Cardin said. “The bad guy is Iran.” He urged AIPAC delegates to put pressure on their members of Congress to support proposed legislation that would make it difficult or impossible for countries that boycott Israel to do business with the United States. Graham, who is chair of the Subcommittee on the Department of State, Foreign Operations and Related Programs, received an ovation when he threatened to cut off money to the UN if vilification of Israel in the General Assembly continues. The bipartisanship flag was waved again later in the day when Representative Steny Hoyer, the Democratic whip in the House of Representatives, and Representative Kevin McCarthy, the Republican majority leader in the house, spoke. The 1975 UN General Assembly resolution equating Zionism with racism is that body’s most notorious attack on Israel, said Brett Schaefer, a research fellow at the Heritage Foundation, but there have been 20 condemnatory resolutions against Israel just in this session of the GA alone, compared with three condemnatory resolutions for every other nation. Likewise, the UN Human Rights Council, he said, has a disproportionate focus on Israel, while ignoring serious human rights abuses elsewhere. The council’s standing agenda has one permanent item on Israel and another item covering every other country on earth. These institutional attacks on Israel began before the latest round of “lawfare,” Palestinian leaders’ attempts to gain international recognition without negotiating directly with Israel. Schaefer outlined a long list of successful and unsuccessful attempts by the Palestinians to gain legitimacy through the UN and its agencies. Yet such efforts are in direct violation of peace negotiations, which are premised on mutual recognition and negotiation, he said. While Palestine has been recognized by UNESCO, the UN body on culture, education and science, Schaefer said Palestine is highly unlikely to be recognized as a full member of the GA because membership must be recommended by the Security Council to the assembly and the United States would likely veto such a move. “What this is about is Palestinians getting what they want without compromise,” he said, noting that the Palestinian leadership has prepared their people to expect nothing less than complete victory and to view compromise as betrayal. However, Schaefer added, “They’ve been pretty successful so far.” The international community is “enabling Palestinians” in avoiding peace negotiations, he said. This includes the Obama administration, according to Schaefer, which puts pressure on Israel to compromise, but not on the Palestinians. “The Palestinians see no downside to what they’re doing right now,” he said, adding that there does not appear to be any reason to change course. Gil Troy, a professor of history at McGill University, said the UN was founded as a great healing, redeeming instrument promoting the universality of human rights, but it is now a “Third World Dictators’ Debating Society.” A coalition of Soviet-led developing countries hijacked the UN from the democracies decades ago, he said. With 193 member-states now, Troy said, the UN represents 193 forms of nationalism, but there is only one form of nationalism that is delegitimized by the GA – the Jewish nationalism called Zionism. A conundrum for Israel in all of this is that the UN is widely respected worldwide. “The United Nations is the greatest social services agency the world has ever seen,” Troy said. For the overwhelming majority of the world, it is a great organization helping their daily lives, therefore, if the UN hates Israel, Israel must be evil. Schaefer said Palestinian leaders have benefited from their position as something between a government and a figurehead. “Palestinians have achieved some aspects of self-government but they don’t have any of the responsibilities of government,” he said. UNRWA and other international agencies use foreign aid to run the health, education and civil infrastructure in Palestine, so the Palestinian leaders do not have to take responsibility for their people. He said the world should force the leaders to govern their people. Schaefer suggested that the United States begin using its own power at the UN. “The United States needs to elevate awareness among other countries that their votes at the General Assembly matter,” he said. There used to be a rule about aid to countries that do not vote with the Americans consistently, but that has been rescinded, he said. An AIPAC session on relations between Ottawa and Jerusalem drew a respectable audience – mostly Canadians but a significant number of Americans as well – and this itself is a sign of Canada’s changed roles in the world, said Jonathan Kay. “No one would have cared what Canada thought 10 years ago,” he said. Kay, editor of The Walrus and former editor of the National Post’s comments section, was joined on a panel by B.C. author Terry Glavin. As well, the presence in the Liberal and New Democratic parties of a small group of vocal anti-Israel members went largely unchecked until after the 9/11 terror attacks in 2001, when there was a significant shift in what Canadians were willing to accept in terms of radical foreign-policy views, Glavin said. “Most Canadians had enough by about 2006, 2007,” he added. The Conservative party that Harper leads is technically less than 20 years old. When the Conservatives won a majority in 2011, Glavin said, some Canadians were waiting for the creation of a “Pentecostalist Taliban State.” Instead, he said, the country has accepted thousands of gay refugees, increased aid to Palestinians and focused on maternal health in the developing world. On the Israel front, Glavin said Harper has made clear that the struggle is between “free people and tyrants,” not between Israelis and Palestinians. The engagement in Afghanistan has also changed Canadians’ views of foreign affairs, he added. Kay believes that the 1956 Canadian “invention” of peacekeeping was a stale dogma that Canadians cherished but were eventually prepared to abandon as the country became more confident. As the threats in the world, particularly radical Islam, increased, Canadians took a different view of their own role. Will things change if this year’s election is won by Justin Trudeau, whom Glavin said some Canadians view as a “foppish drama teacher snowboarder”? Kay predicts Trudeau would essentially ignore the Middle East. “To the extent that he knows about stuff, it’s domestic stuff,” Kay said. Kay credits the CBC for moderating what was once a reliably anti-Israel bias, but Glavin raised a recent incident in which CBC television host Evan Solomon asked then foreign minister John Baird if he thought it was OK to appoint a Jewish person, Vivian Bercovici, as ambassador to Israel. Glavin said that the prime minister recently appointed Kevin Vickers, the heroic sergeant-at-arms who killed the terrorist on Parliament Hill last year, ambassador to Ireland and nobody questioned the fact that an Irish Catholic was being appointed to Canada’s highest office in Dublin. Recently resigned foreign affairs minister Baird rejected the idea that strong support for Israel has damaged Canadian relations with other countries, saying that Canada has better relations with the Arab world now than it has had in years. As foreign affairs minister, he said, his job was to promote Canadian values and interests. Supporting Israel, he said, is where those two intersect. On Iran, Baird said, history should provide an object lesson. Hitler published Mein Kampf years before he began the “Final Solution.” The world was warned. Now Iran is promising to wipe Israel off the map. “We’ve got to take that incredibly seriously,” he said. Democratic U.S. 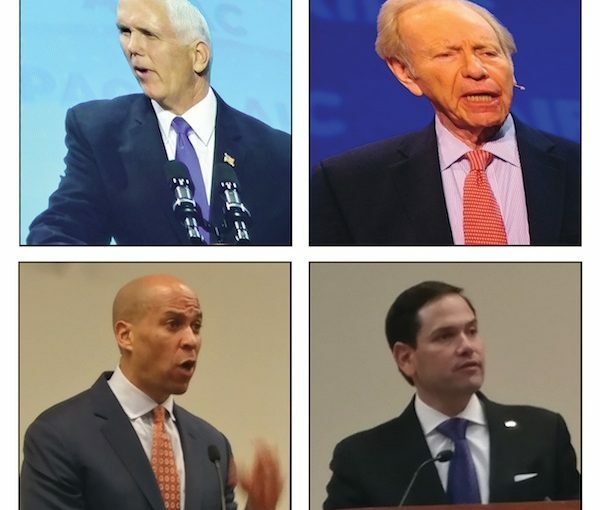 Senator Ben Cardin and Republican Senator Lindsay Graham opened the event Sunday morning with emphatic assertions that American support for Israel overrides all partisan politics. The message was repeated later in the day by top Democratic and Republican officials from the House of Representatives. Messages of cross-partisan rah-rah for Israel were featured in many of the conference speakers’ messages and on the massive 360-degree screens encircling the U.S. capital’s cavernous convention centre. The American ambassador to the United Nations made the same case. As the country’s greatest ally in the raucous Middle East, Israel is somewhat akin in the American political culture to the U.S. military – one can criticize policies and politicians, but it is de rigueur to restate philosophical support for Israel as a great ally and for the right of Israel to defend its citizens. This sort of bipartisanship has not always been the case in Canada, which has a very different perspective on foreign affairs and, sometimes, on Israel. But that has changed, according to a panel of Canadians who addressed the conference. Shimon Fogel, chief executive officer of Canada’s Centre for Israel and Jewish Affairs, moderated a session featuring Jonathan Kay, editor of The Walrus magazine and former comment page editor of the National Post, and Terry Glavin, a Victoria-based commentator and author. “Israel has won the battle of ideas in Canada,” Kay said. The change is due to a few things, the two commentators agreed. The rise of social media has also played a back-door role. The CBC was routinely criticized for being anti-Israel a few years back, but the social media backlash every time biased reporting occurred – aided by groups like Honest Reporting – has led to fairer coverage. “I actually find the CBC’s coverage of Israel pretty good,” said Kay. The 9/11 terror attacks also provided a major impetus for changing Canadian views of friends and enemies. But the Canadian military engagement in Afghanistan perhaps drove the major shift of opinion, said Glavin. Two generations of Canadians had not seen active wartime mobilization. The fight against radical Islam, in the form of the Taliban, changed perceptions of global issues, including Israel’s struggle against nominally different but ideologically parallel enemies. 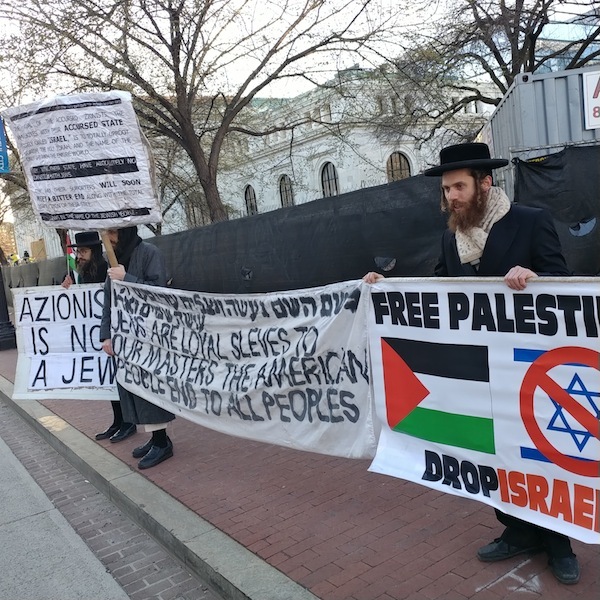 Where anti-Zionism was most successful – on university campuses – most students now roll their eyes at the “trite and ritualized” debate on both sides, said Kay. 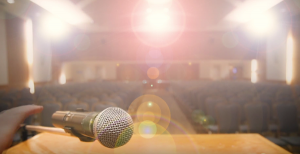 In terms of professors supporting the BDS movement, he added, it is the “least consequential” academic organizations making the case. And gay rights groups opposing Israel are “underemployed” activists who have won most of what they were demanding. Significantly, he continued, at the national level, the elements of the Liberal and New Democratic parties that once condemned Israel for every imaginable crime have been reined in by their parties. Notoriously anti-Israel NDP MP Svend Robinson is gone from the scene. His ideological successor in anti-Zionism, Libby Davies, has announced she will not seek re-election in Vancouver East, although Kay said she has already been “defanged” by party leader Thomas Mulcair, who Kay said makes no apologies for his support for Israel. Both men noted that the shift began with Liberal Prime Minister Paul Martin, under whose leadership Canada changed its voting patterns at the United Nations. The pro-Israel position accelerated under Harper, particularly after the 2011 election when the Conservatives won a majority and John Baird was appointed foreign affairs minister. Baird, who left politics this year, was greeted with a hero’s welcome at the AIPAC conference. While Canadians are proud to be different than Americans on many fronts, the consensus on Israel that has reigned in the United States is now dominant in Canada, as well.